I guess you could say my game plan for this look started with this vintage style varsity jacket. I was thrilled to find it in-store at Nordstrom Rack, but if that’s not an option check out the website. The embroidered map-inspired detailing elevates this jacket to a whole other level of special. Not to mention fun. Not sure why I should “never eat shredded wheat,” but who cares. I love how this jacket combines edgy chic with a tongue-in-cheek conversation piece. In always classic black, too. 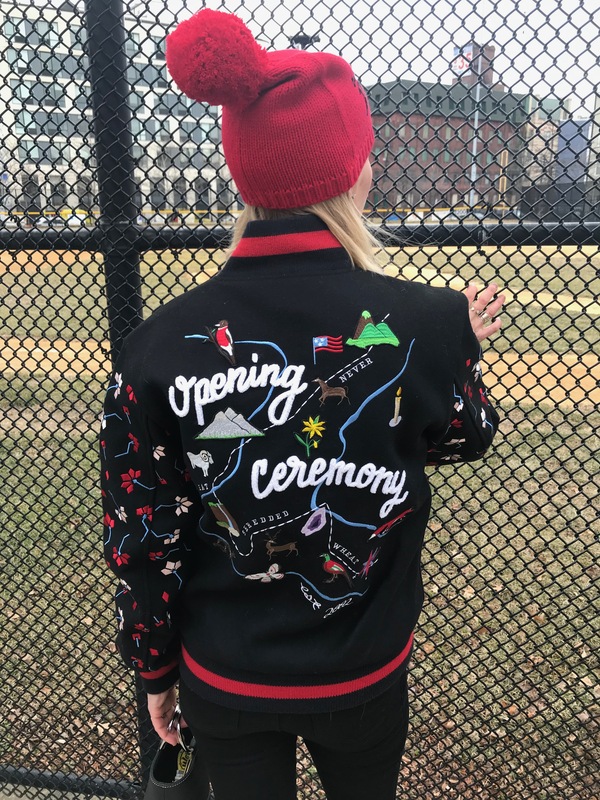 While an Opening Ceremony piece like this would typically cost around $500 (or more! ), but I spent right around $200, thanks to the Rack’s discount as well as Nordstrom points. Yay! My love affair with Madewell jeans continues. This not-so-basic black pair was also on sale. And the velvet tuxedo stripe detailing down the legs (sorry that our photos don’t do them justice) gives me the option to dress them up or down. Do you love cashmere sweaters as much as I do? As soft and cozy as they are they do tend to get pill-y after a few year’s wear. Hence, sales are the perfect time to stock up on some new silhouettes. This one is striped just right in a classic cream-and-black combo. 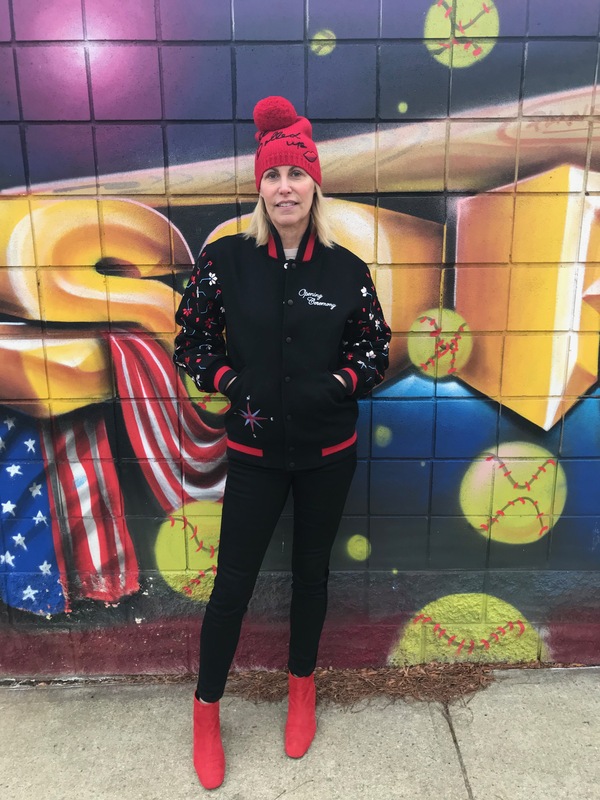 For accessories, I went with a pop of red: my pom pom beanie is detailed with “all dolled up” embroidery and my suede booties are detailed with an angled chunky heel. Last but not least, my mini bucket bag features jewelry like handles. So are we sensing a trend yet? Yes…details do make the difference. They’re what catch the eye and what make an outfit anything but ordinary. How about you? Are you shopping the January sales? I’d love to hear about your fashion scores! Jacket: (Opening Ceremony, sold out) but like this other OC option and this more affordable one. Sweater: (Autumn Cashmere) Also like this and this. Beanie: (Kate Spade) And how cute is this, this and this! Boots: (Topshop, old) but these are on trend and on sale, too. Bag: (Simon Miller, old) but here’s one on sale. I love this look! I’m obsessed with the jacket and booties!! Thanks! I’m pretty obsessed too!! You slam-dunked this look, MP!